especially when your hard work is rewarded with pristine natural wonders. 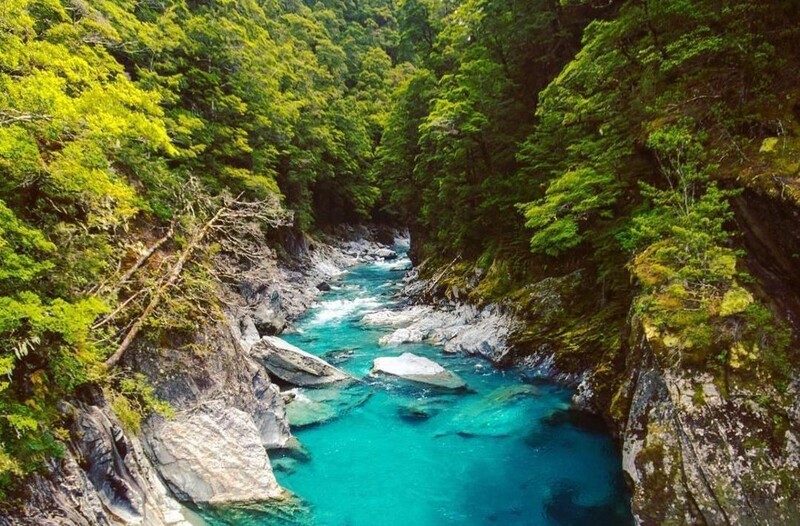 The West Coast Trail of New Zealand’s South Island may be the country’s most naturally beautiful. Taking in not just one, but two majestic glaciers (Franz Josef & Fox), stunning mirror-like lakes, and azure-coloured pools, you’ll find yourself enveloped by mountains as you traverse the peaks and troughs of this undulating landscape. The 403km (250mi) journey takes around 6–8 days and begins in the small town of Ross. 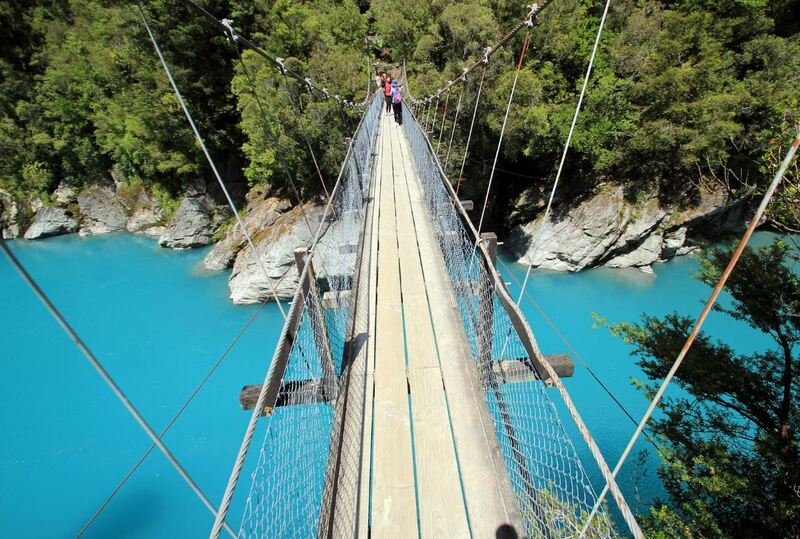 Begin the trip with an optional visit to Hokitika Gorge — with its turquoise glacial water and unusual cliffs, it’s a nature-lovers paradise. Its striking beauty is a sample of things to come, as every turn of this cycle trail holds an experience that is truly unique. 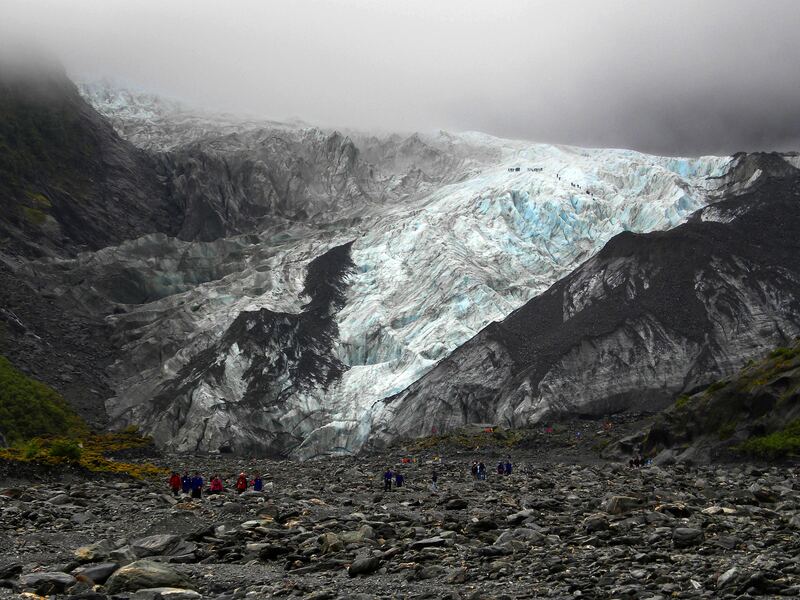 Visit the spectacular twin glaciers of Franz Josef & Fox, which offer a temperate climate and low altitude, making them some of the most convenient and picturesque glaciers in the world to visit. For the wildlife lovers, get up close with White Herons in Whataroa as you observe their nesting site deep within the Waitangiroto Nature Reserve, only accessible by boat. You’ll also have the chance to visit Mou Waho Island once arriving in Wanaka, where you can try to spot the rare flightless Buff Weka within the nature reserve. Looking for a little R&R to recharge those cycling muscles? Just outside of Pine Grove, hop off your bike and walk the Copland Track to the Welcome Flat Hot Pools and have a soak in the naturally heated water, with a stunning view over the Sierra Range. 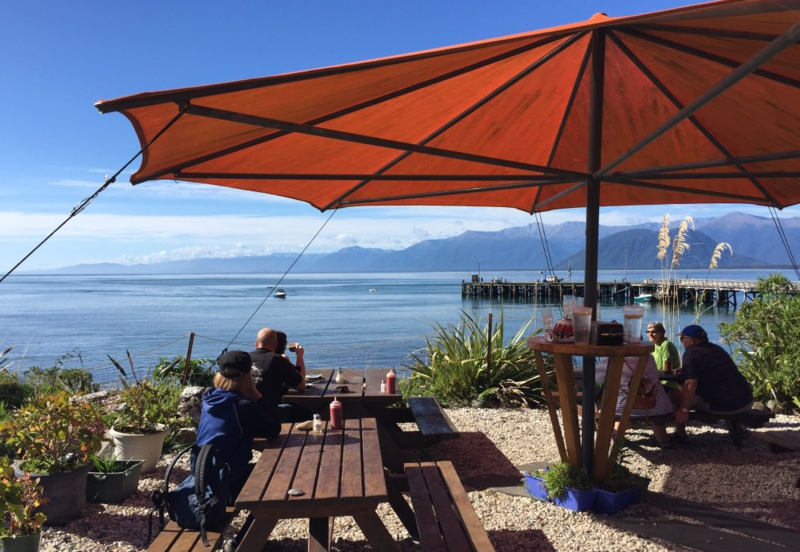 If being by the water is more your style, there’s no shortage of lakes, with Lakes Ianthe, Paringa, Wanaka and Hawea featuring along the cycle trail, each more beautiful than the last, and most offering camping and aquatic experiences. On Mou Waho Island, experience one of the only places in the world where you can dine beside a lake, on top of an island, within another lake. If you’ve got some time up your sleeve, take a side trip to Jackson Bay, one of New Zealand’s most remote towns, a fishing village where the residents are outnumbered by seals and penguins, and delicious seafood can by eaten beside a backdrop of ocean and mountains. As you near the end of the journey, some of the best experiences are left until last. 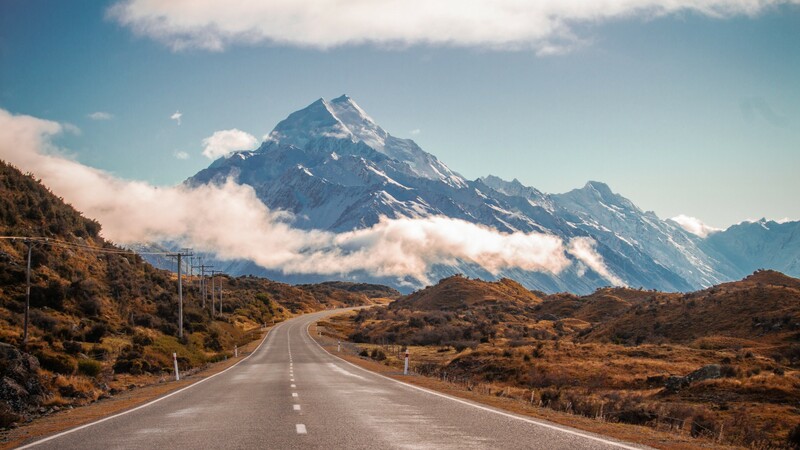 Mount Aspiring National Park is a must-see, with towering native forests, mountains and long river valleys. The park is also home to the stunning azure-coloured Blue Pools, where the water is so clear, you can spot the brown and rainbow trout feeding beneath the surface. Arriving in Wanaka at the end of the trail feels a bit like re-entering civilisation after a week of such raw and striking natural environments. 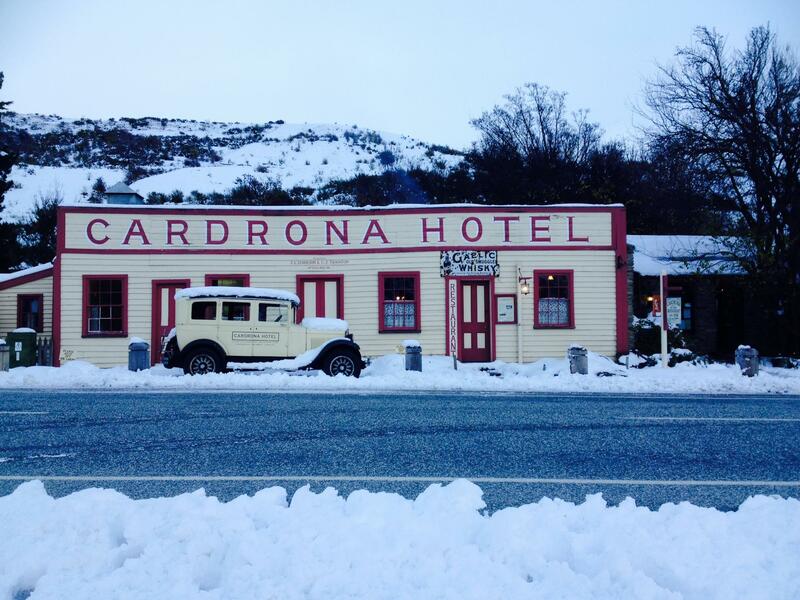 But what could feel like the end is actually just the beginning — Wanaka has plenty on offer to extend the adventure, with hiking trails around its lakes and rivers, restaurants, a whisky distillery, and one of the oldest (and most charming) pubs in New Zealand to rest, recharge, and rejuvenate before the journey home. Click through the map above for the full route, as well as tips on where to eat, sleep and explore on the West Coast Trail. Got your own cycling itineraries you want to share? Make your own map today with Alpaca. Glaciers, Fjords & Snow-Capped Mountains: How to Cycle New Zealand’s West Coast Wilderness was originally published in alpaca.travel on Medium, where people are continuing the conversation by highlighting and responding to this story.